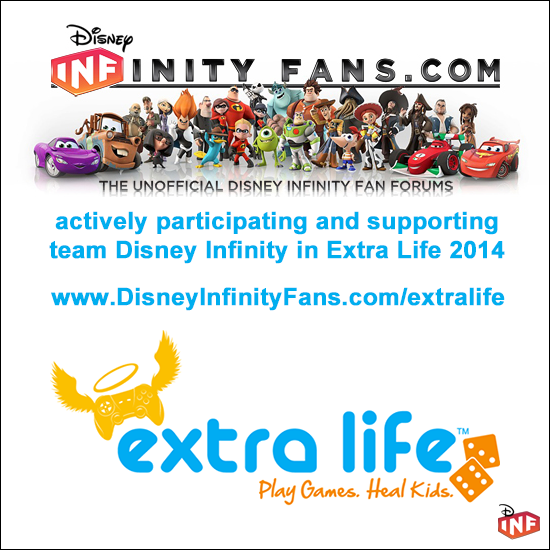 Dear Disney Infinity Fans, on October 25, 2014 several members of our forum will be participating as part of the official Disney Infinity fundraising team in the 24 hour video game marathon Extra Life 2014. Any donation you make, even a single dollar, will have an immediate impact on the kids treated at children's hospitals. Thank you in advance for supporting the efforts of the Disney Infinity Extra Life 2014 fundraising team. 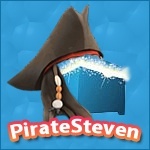 To visit an individual fundraising page for a DisneyInfinityFans.com forum member that is part of the official Disney Infinity team simply click on an image below. If you have signed up and joined the Disney Infinity team and would like to have a link below please send me a direct message. ... DONATE and leave a message including your forum username on ANY forum member donation page, and no matter how small the donation, you will be entered into a random drawing where 1 winner will receive a Marvel launch event invitation signed by members of the Studio Gobo crew, a boxed E3 exlusive Hawkeye figure and a boxed Sweet Suite exclusive Tinker Bell figure. 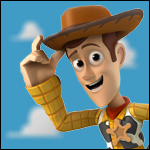 "This weekend, as part of Extra Life 2014, we're hosting the first ever Disney Infinity Toy Box Blitz Challenge. So how does a Blitz Challenge work? 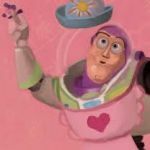 On Saturday October 25th at 8 AM PST, the Toy Box Blitz Challenge theme will be revealed on Twitch.TV/Disney as well as here in the News section. 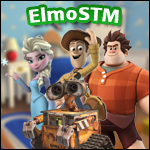 You'll have just 24 hours to create and submit your themed Toy Box to Disney! The winners will be announced on an upcoming episode of Toy Box TV and featured as Developer Picks in the game. This is an awesome way to get involved with Extra Life and help raise funds for local children's hospitals. Be sure to join the Disney Infinity Extra Life team so you're ready to go on Saturday morning! This is an AMAZING idea! In the process of freeing up my Saturday to participate. Cool idea. I'll be tuning in to see if the theme sparks an idea. (1) Please don't forget to donate to Extra Life. (2) What sort of things would you like to see live streamed on Saturday? I am working on my streaming schedule tomorrow. 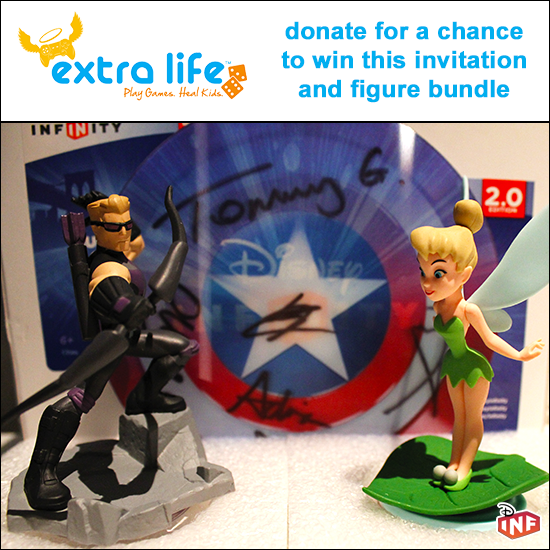 (3) Who plans on participating in Extra Life on Saturday by playing Disney Infinity? (4) Saturday is the perfect day for Magic Band unlock assistance. So if you need assistance with the unlock for PS4, please private message me. 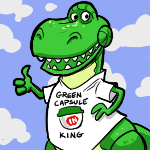 (4) I added some donation incentives on . Please remember it is all for charity. Check it out. 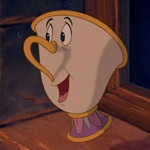 I am just testing to make sure this topic still works. This topic is so quiet for such a big charity event. Anybody out there? Dude I only just noticed my Toy Box Blitz topic got merged in here. I thought I was crazy and hadn't actually posted it. Donated to Will, and PapaEcho. I'm really sad to see that a community as great as this one is not all pulling together and donating more!!!! Come on people...even if everyone only gives a $1 it will all add up...support the admins and most of all help some kids!! !